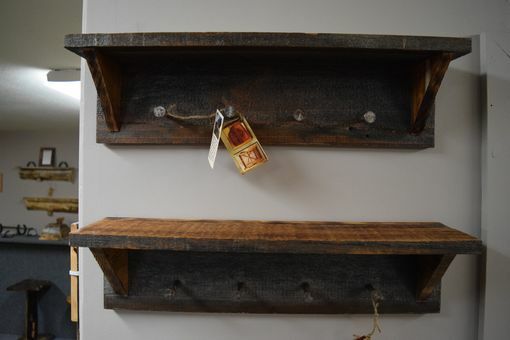 Hand crafted barn wood coat rack/shelve with four metal spikes hangers. Length 2ft. We make these coat racks in 2ft, 3ft, 4ft, 5ft, 6ft. We add one metal spike for every foot you add. 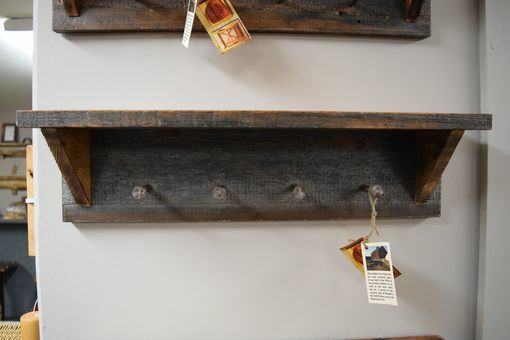 This product may vary in wood texture and color a little due to the fact we are using 85 year old barn wood. Every one is similar but each one is a little different. They are all made out of authentic barn wood. 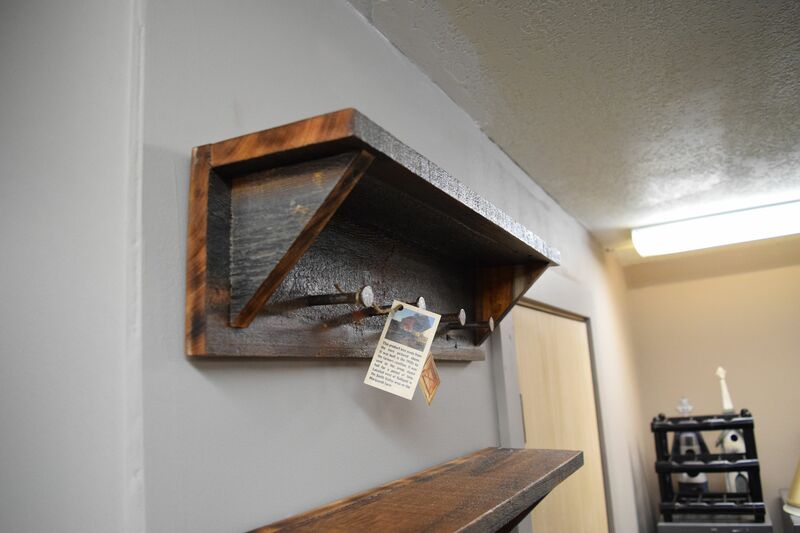 All of our barn wood products come with a picture of the barn and a little bit of the history about it.